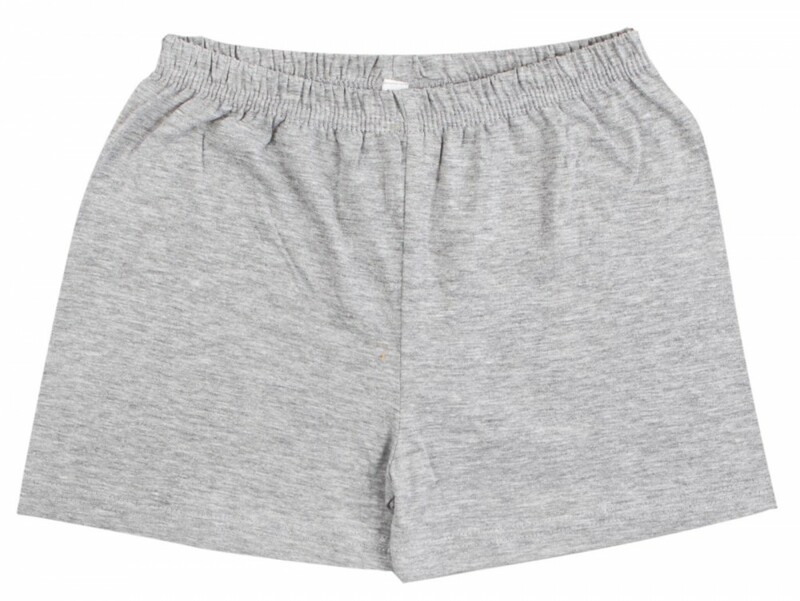 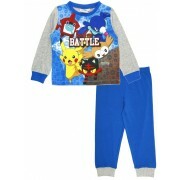 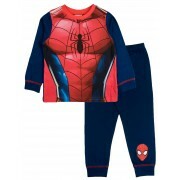 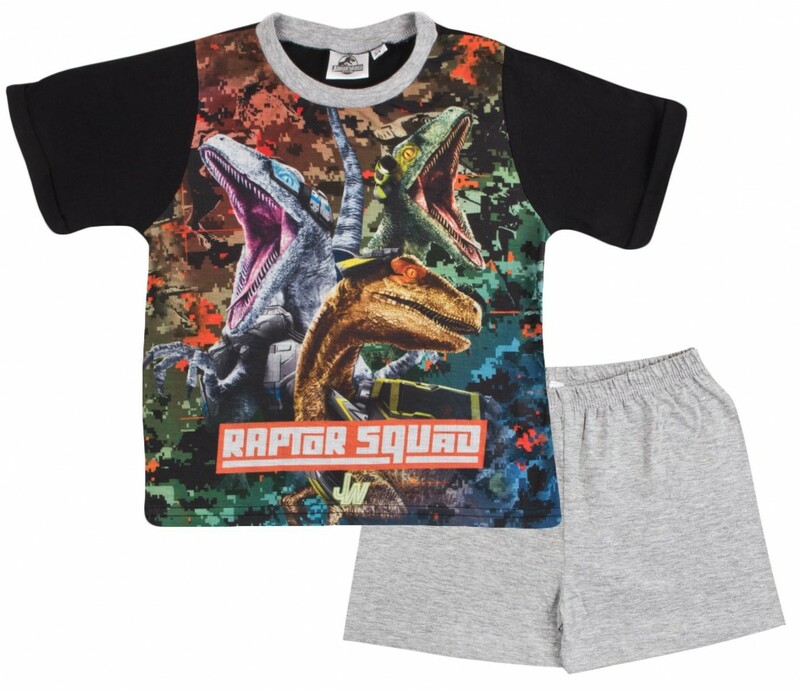 This official Jurassic World set includes a short sleeve T-Shirt with matching elasticated shorts, perfect for keeping your little ones cool on warm summers nights. 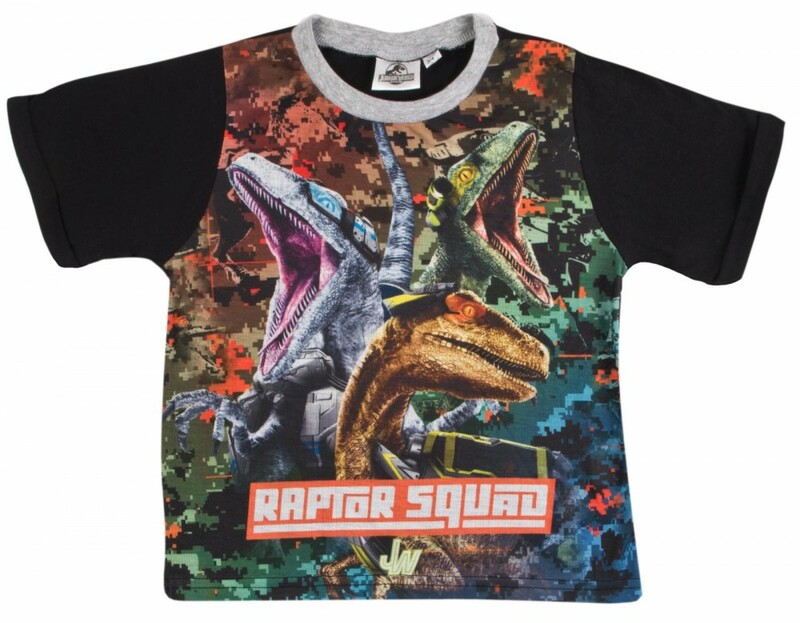 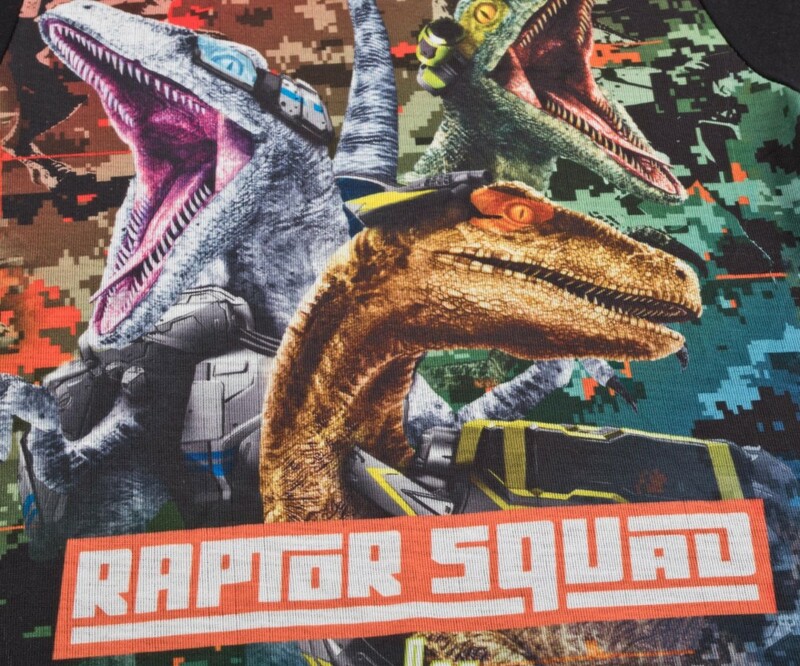 The set features image of the Raptor squad dinosaurs. 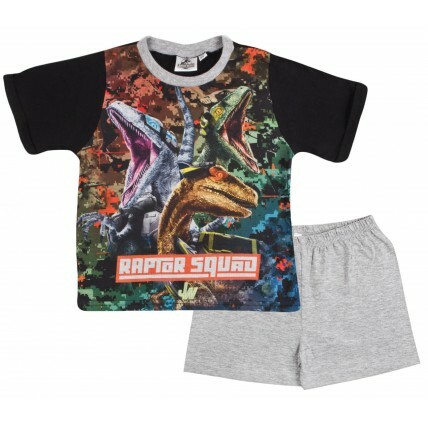 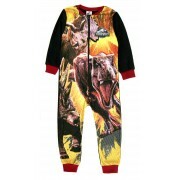 A great buy for any dinosaur fan.